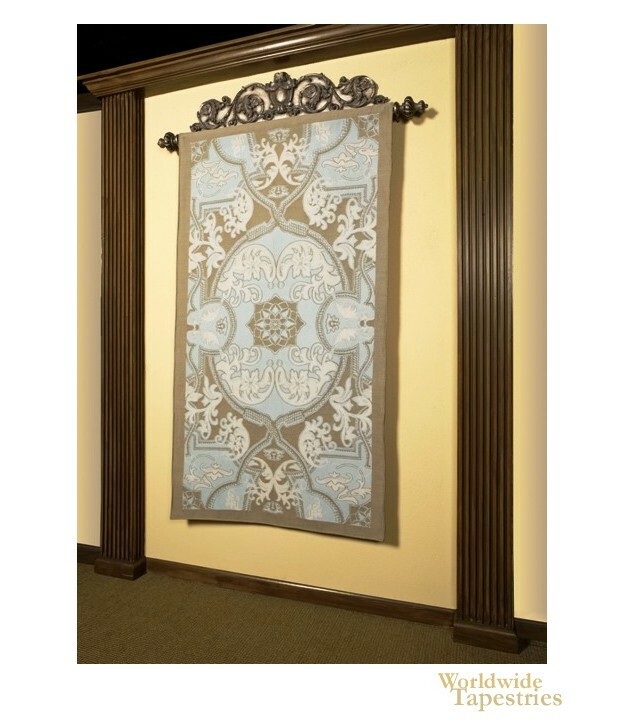 This art tapestry "Vintage Sky II" shows a floral and geometric design in blue, earth tones, and beige. Created from foliage motifs, the piece is interwoven with geometric designs to create an elegant work in gentle, lovely colors. This art tapestry "Vintage Sky II" is backed with a lining and has a rod pocket for easy hanging. Note: tapestry rods and accessories, where pictured, are not included in the price. Dimensions: W 39" x H 72"